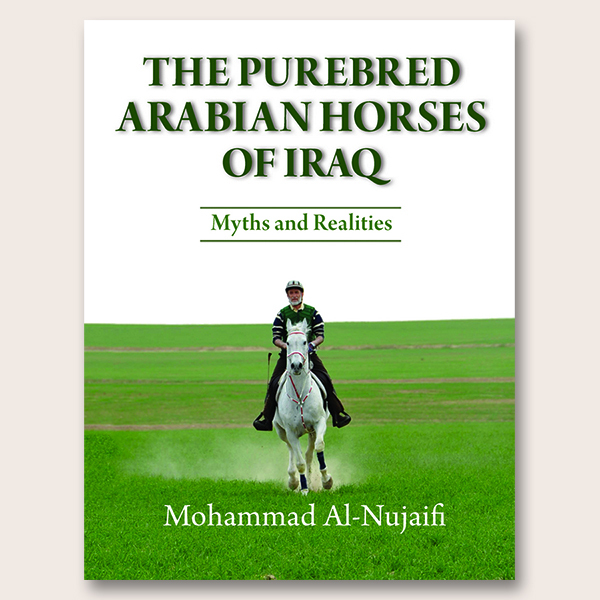 The Purebred Arabian Horses of Iraq ~ Myths and Realities, by Dr. Mohammed Abdulaziz Al-Nujaifi, brings love and affection for the Arabian horse to this narrative. Beginning with the trade winds of Bedouin migrations through many turbulent years of political takeovers and upheaval continuing to the present day, Dr. Al-Nujaifi has compiled a history of the region through the Arabian horse. A mirror of the region’s fortunes, the Arabian horse has served as the woof and weave of Arabic traditions, history and culture. The struggle of the country is also the struggle now to verify the ancestors of many of the horses that are foundations of today’s Arabian bloodlines. Rated by statistics of the International Federation of Arabian Horse Racing Authorities (IFAHR) as the number one winning Arabian race horse owner in the world for 2010, 2011 and 2012, Dr. Al Nujaifi continues his family’s tradition as one of the premier breeders of Arabians in Iraq. His book is a history lesson of the region, a documented research on the horses used to breed for speed, and the ongoing popularity of racing in Iraq. First published in Arabic, this new English language edition, edited by authority on Arabic culture Peter Harrigan and designed by Kitty Carruthers, includes new material and many recent photographs, including contributions from Peter Upton. This book is a must-have to include in a library of Middle Eastern studies and of Arabian horse ancestry. The Purebred Arabian Horses of Iraq — Myths and Realities by Mohammad Al-Nujaifi is a commendable new book that for the first time articulates the ancient and contemporary history of a much-neglected segment of the universal breed. The author’s profound knowledge of the ancient Arabic sources, coupled with his lifetime of experience as Iraq’s most successful breeder of Arabian racehorses, radiate throughout each of the work’s 240 pages. 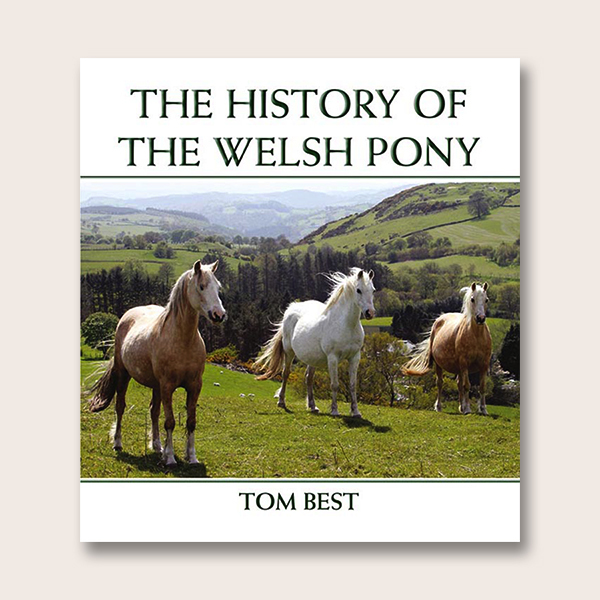 The first chapter, The Arabian Horse in the Pre-Islamic and Islamic Eras, will be of particular interest to historians and scholars. Judging from the numerous extracts quoted from the Holy Qur’an and a myriad of classic accounts, it is obvious that Mohammad Al-Nujaifi ransacked virtually every ancient source that dealt with the Arabian steeds of his native land. However, that section is just a prelude of better things to come. The well-researched and eloquently written text contains an additional seven chapters which describe in detail such topics as the origin of the modern Arabian horse and its relationship with the ancient horses of Mesopotamia. That extraordinary segment is followed by an in-depth analysis of the history of Iraq’s Arabian horses and the development of flat-track racing. 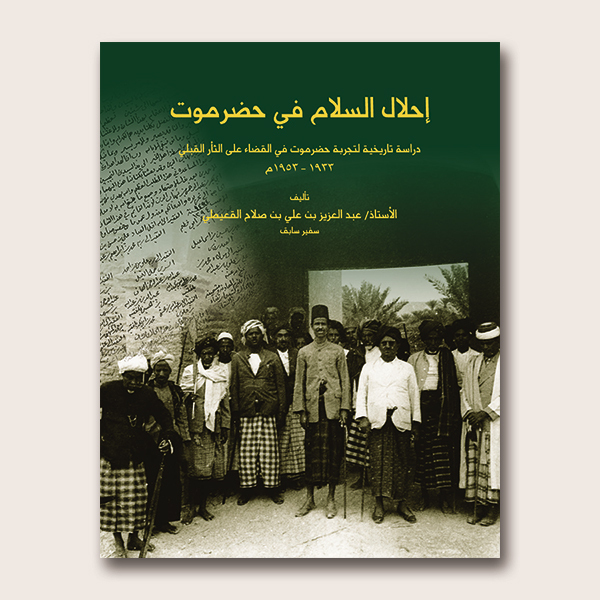 Of special merit is a chapter titled Marabit (Strains) of Iraqi Arabian Horses, wherein the virtues of some 20 family strains and the breeding traditions of 10 horse-breeding tribes are summarised. 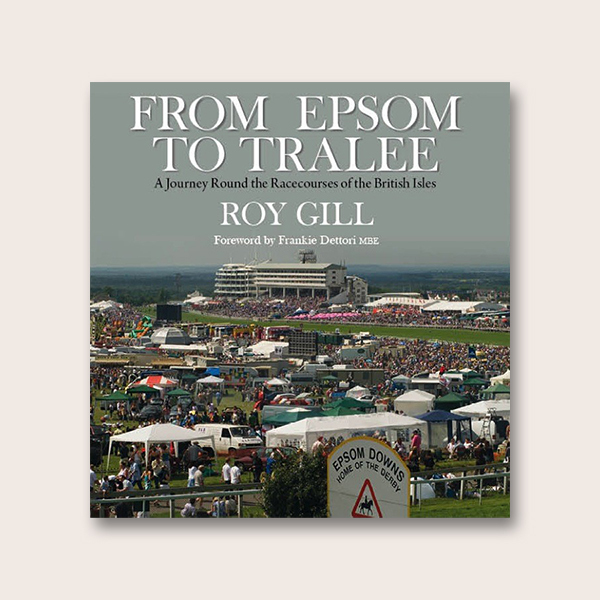 The final three chapters recount the exploits of the many famous Iraqi horses of the past and present that have influenced the breed, particularly on the racetracks of the Mid-East and Europe. Rounding out the narrative is an account of the Al-Nujaifis’ own horses and their impact upon various breeding programmes throughout the world. 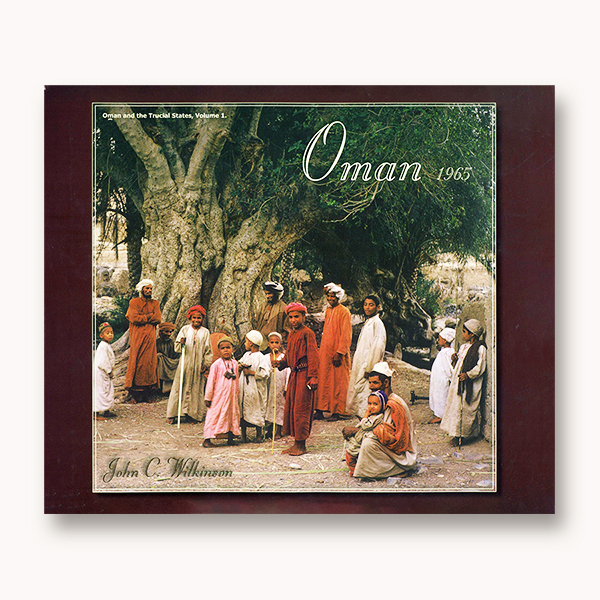 Indeed, Mohammad Al-Nujaifi has provided the reader with an abundance of hitherto unpublished material in a comprehensible chronology that is packed with over 100 color photographs and numerous rare and historic black and white images. The Purebred Arabian Horses of Iraq — Myths and Realities is a veritable gold mine of thought-provoking observations, essential facts and statistics not found in any other single source. 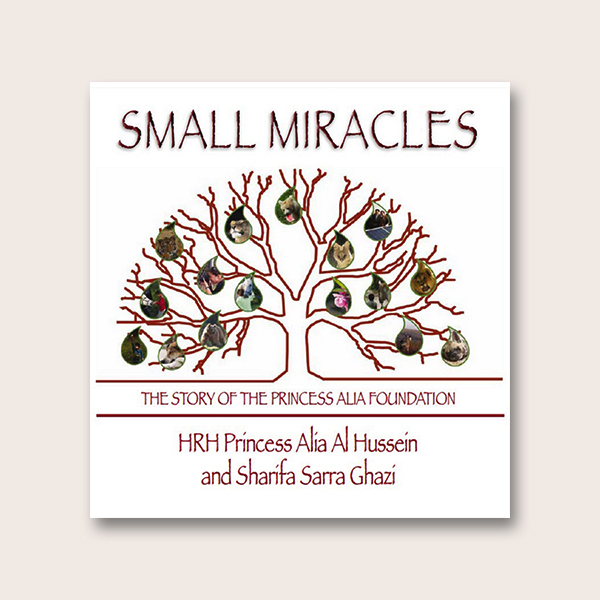 This book is sure to earn the gratitude of all bibliophiles interested in the Arabian horse. For the first time, the story of Iraq’s purebred Arabian horses is recounted in words and pictures by a prominent Iraqi whose family has been breeding horses for generations, since the family migrated north from Arabia with their prize horses to settle on the grasslands around Mosul in northern Iraq in the 17th century. Dr Mohammed Al-Nujaifi has a deep understanding of the purebred desert Arabian horse, its origins, history and qualities, and his narrative corrects the Western-held belief that Arabian horses were bred and admired primarily for their beauty. It is speed, he argues, that has always been the essential characteristic sought and developed over millennia by the Arabs. The recent resurgent interest in Arabian horse racing, not only throughout the Middle East but in Europe and North America, is testimony to this truth. Mohammed Al-Nujaifi has taken a leading role in encouraging the sport of Arabian horse racing and currently owns, trains and races more than fifty prize-winning Arabians. In 2010 and 2011, according to statistics of the International Federation of Arabian Horse Racing Authorities (IFAHR) he was ranked as the world’s number one Arabian racehorse owner. The book begins with the origins of the Arabian horse in pre-Islamic history and brings the story up the present day, and includes the history and current status of flat racing in Iraq. The final chapter focuses on the influence of the Iraqi Arabian on breeding programmes around the world. Richly illustrated with recent photographs and many hitherto unpublished and historic images, the author writes with passion about the Arabian horses of Iraq, of the challenges faced by the breed in recent turbulent times and presents a unique and informed Arab perspective of the qualities of the purebred desert Arabian horse, one that is sure to spark controversy and debate among Western enthusiasts of the breed. Dr Mohammad Bin Abdulaziz Al-Nujaifi’s family have been breeding horses since the family arrived in Arabia in 1638. Keeping the tradition going at their stud farm in Mosul has not been easy – the wars and internal strife of the country have taken their toll – but horses have remained an abiding passion throughout his life. Dr Al-Nujaifi, the Chief Advisor to the Speaker of the Iraqi House of Representatives, has a Doctorate in Agriculture from Oxford University and divides his time between Iraq and Europe. He has a property management company in the UK where his children attend school. The owner of many successful purebred Iraqi Arabian racehorses, he is often to be found in winner’s enclosures at home in Iraq as well as at major race courses, particularly in the UK, Sweden, France, Saudi Arabia and other Gulf States. The breeding of Arabians has inevitably suffered over the past two decades, but it continues nonetheless, and Mohammad Al-Nujaif is committed to ensuring his country’s bloodlines survive and flourish. As Vice President of the Iraqi Arabian Horse Organisation, Chairman and international representative of the Registration, Stud Book and Rules Committee, he is ideally placed to continue with his mission.